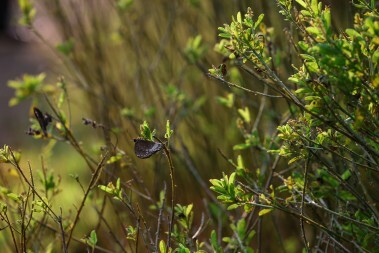 Awake to the morning warbler’s call. 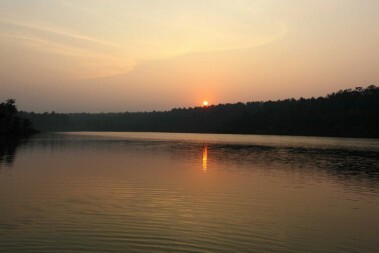 As dawn calls attention to itself. Match the sun’s vigour as it searches the air. 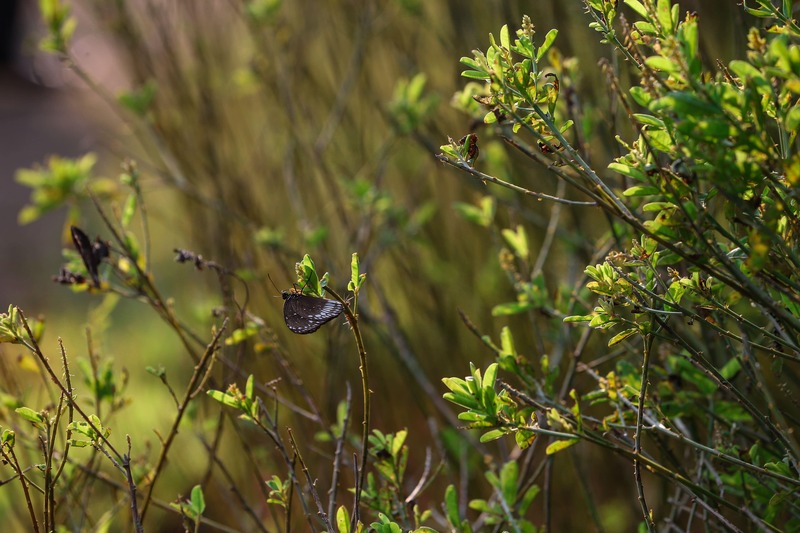 Watch flitting butterflies smitten by pearls of morning dew—a moment caught in a silken tableau of light. 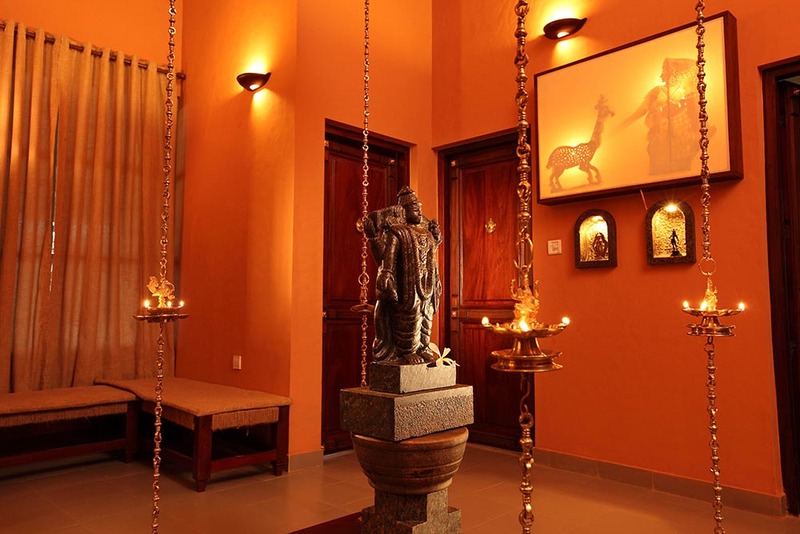 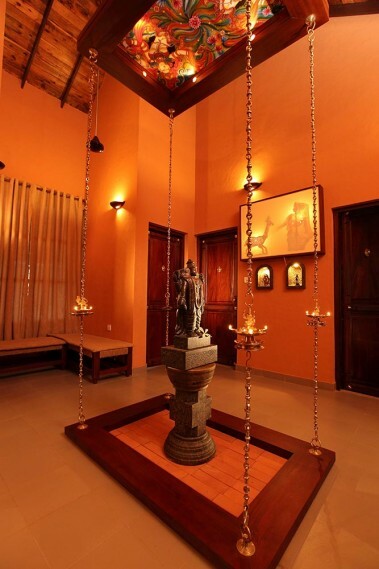 Watch your stress and little niggles seep away with your yoga sessions and Ayurvedic spa massages at the Prana Spa. 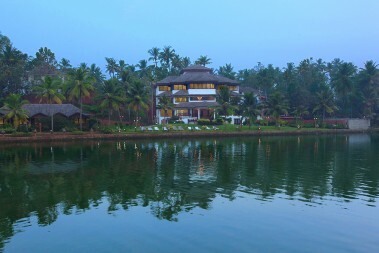 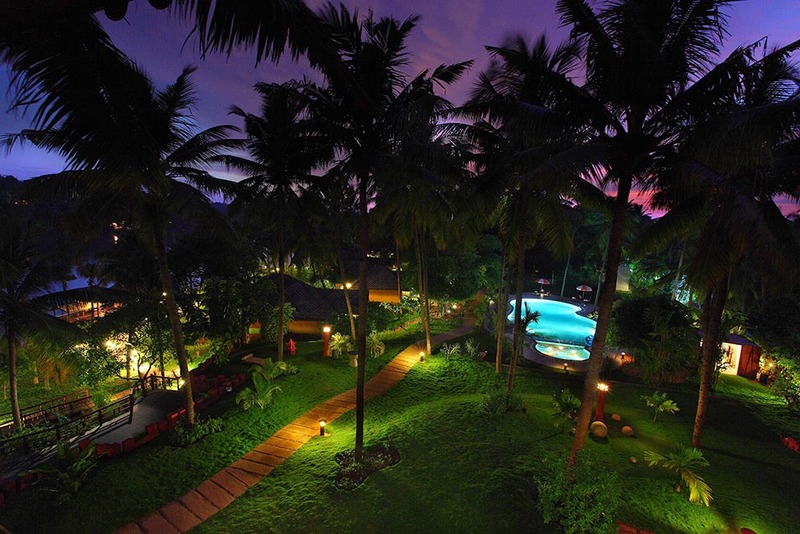 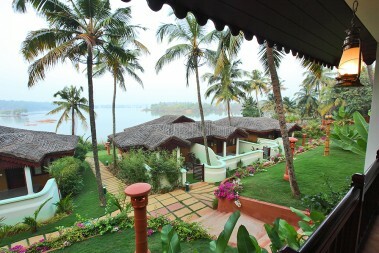 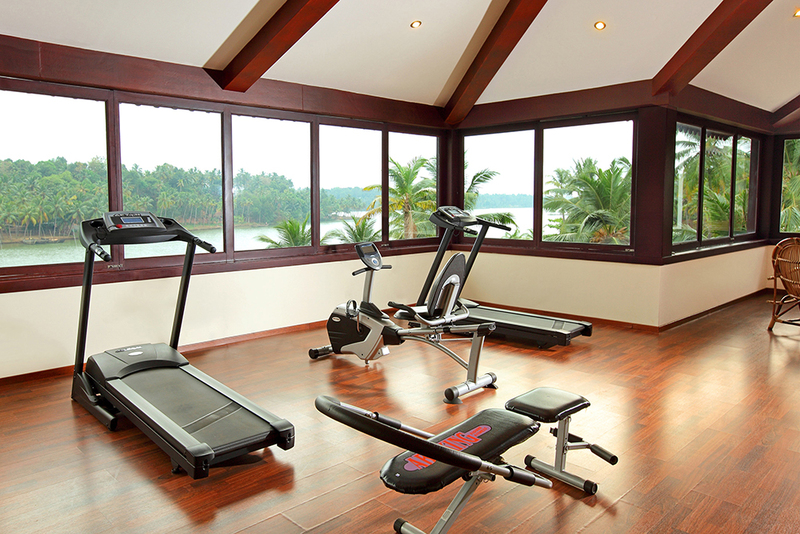 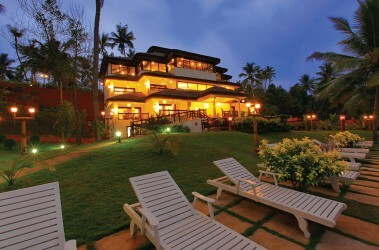 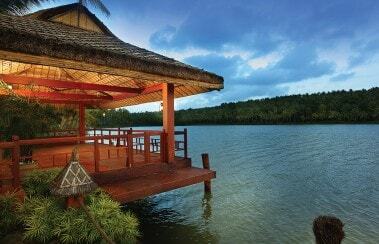 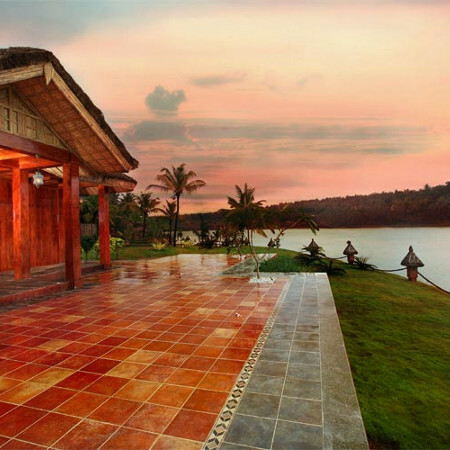 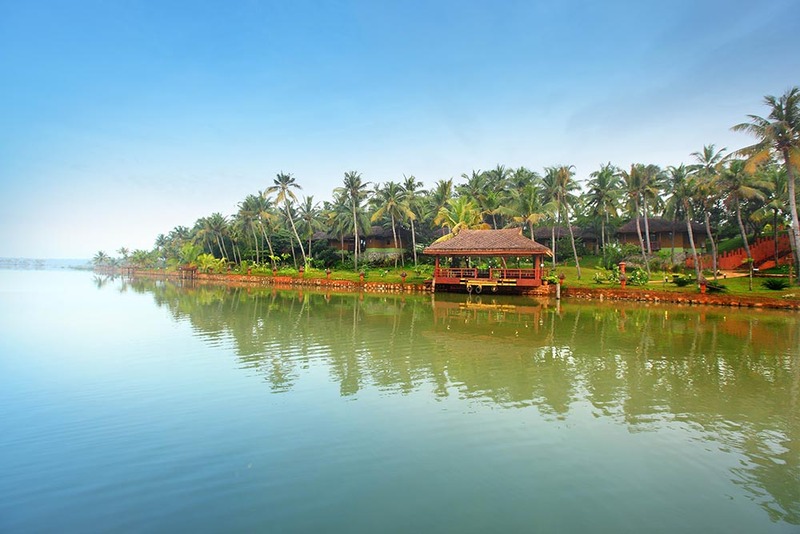 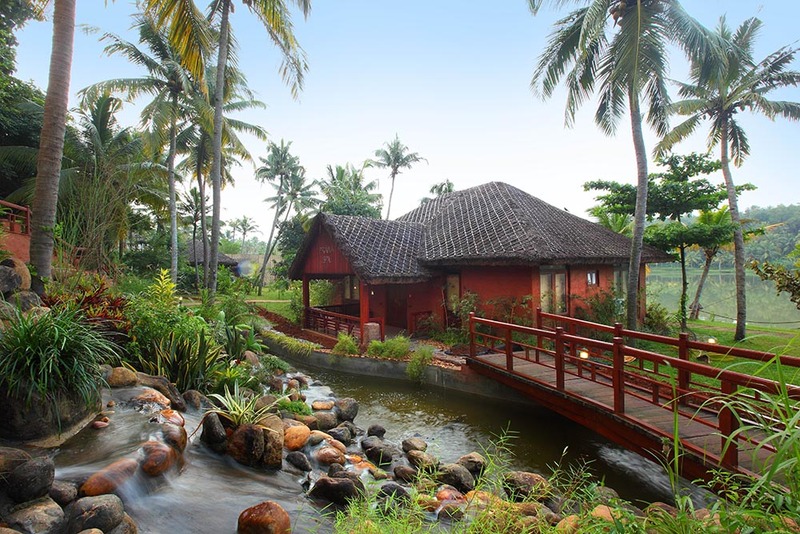 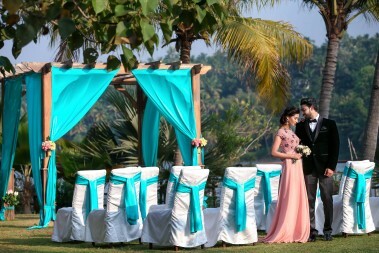 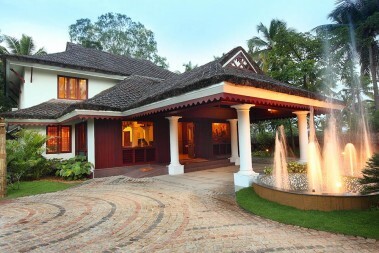 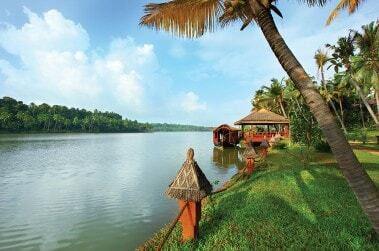 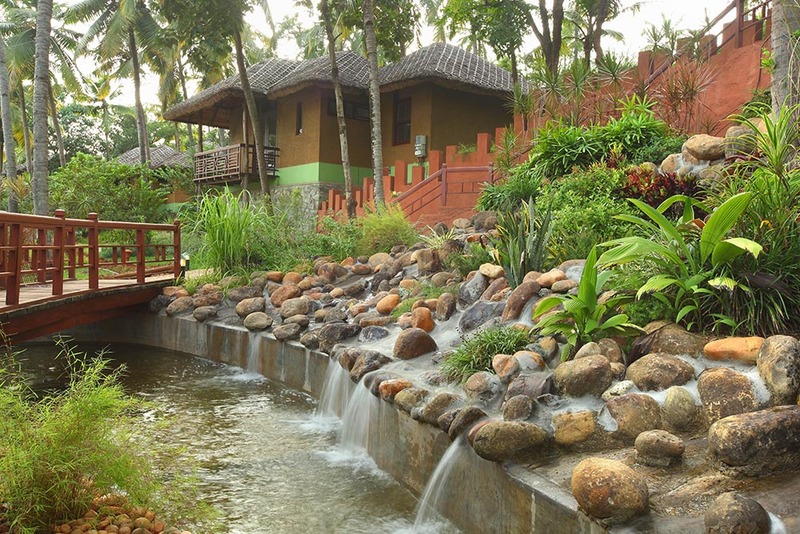 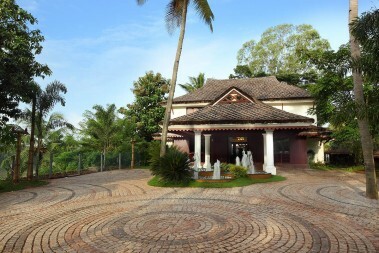 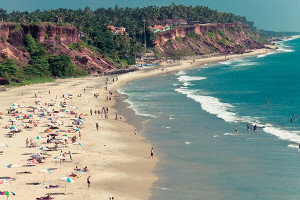 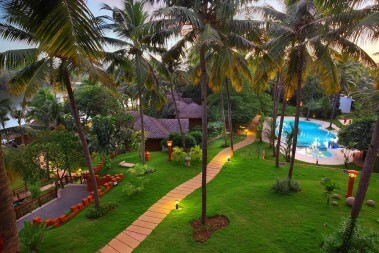 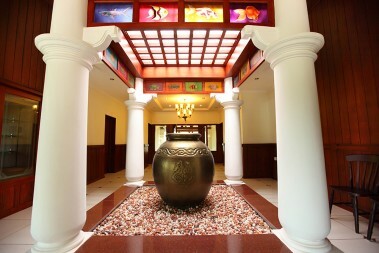 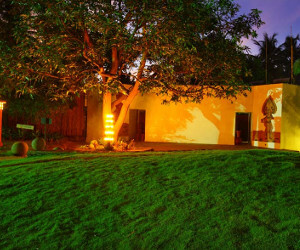 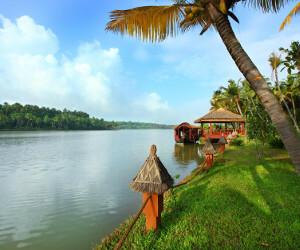 Fragrant Nature 4 Star Resort, Kollam, Kerala in South India—is a consummate backwater experience. Loose yourself to the postcard scenery—bewitching collage of blue and green—underlined by world-class hospitality and service. Explore a range of cuisines at the famed garden restaurant—a dining experience conjured with choicest ingredients. 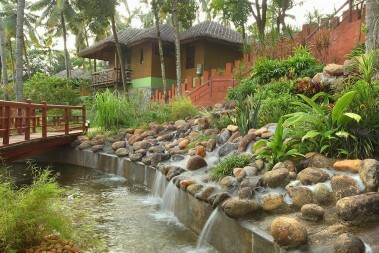 Fragrant Nature Resort’s accommodation offers premium and authentic experiences to the discerning traveller. 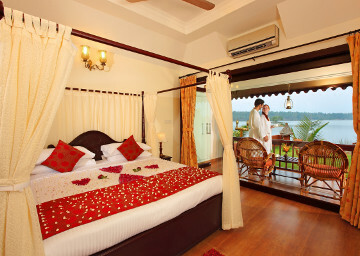 The backwaters are best witnessed from the privacy and comfort of the luxuriant rooms, tastefully done in a boutique decor. 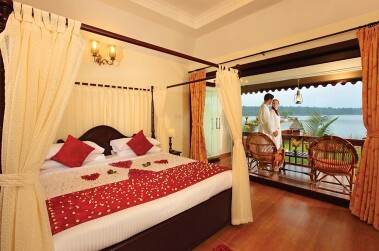 The private balcony in rooms that offer panoramic view of the lake ensures nature is never too far from one’s scheme of things. 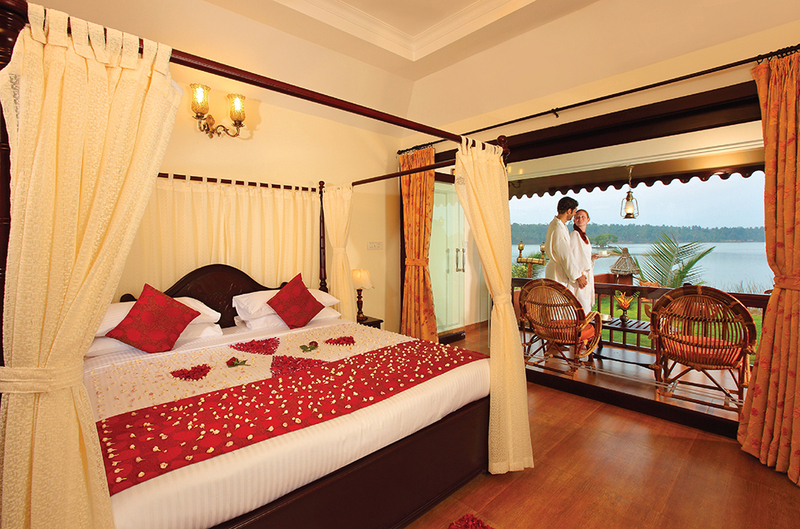 Guests can step out onto their private balcony with a glass of wine and delight in the view. 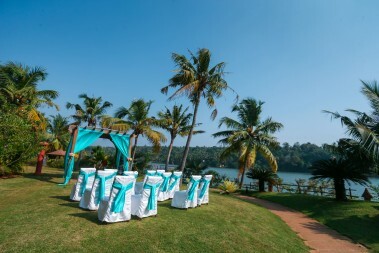 The lake view rooms offer magnificent views of the backwater with private sit-outs, while the Premium Lake view Villa offers elaborate facilities that include a balcony, private garden, living room and bedroom. 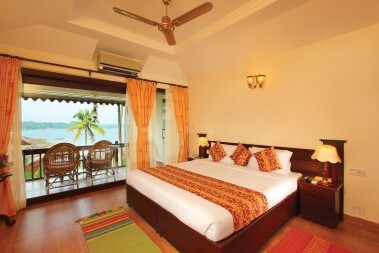 The top category Private Pool Villa offers an artistically designed bedroom & living room with panoramic views unto the backwater—along with a private pool, garden and a private balcony. 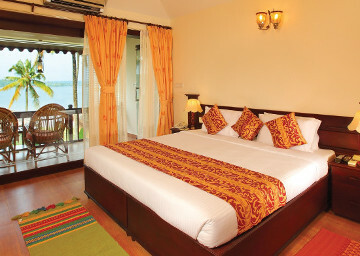 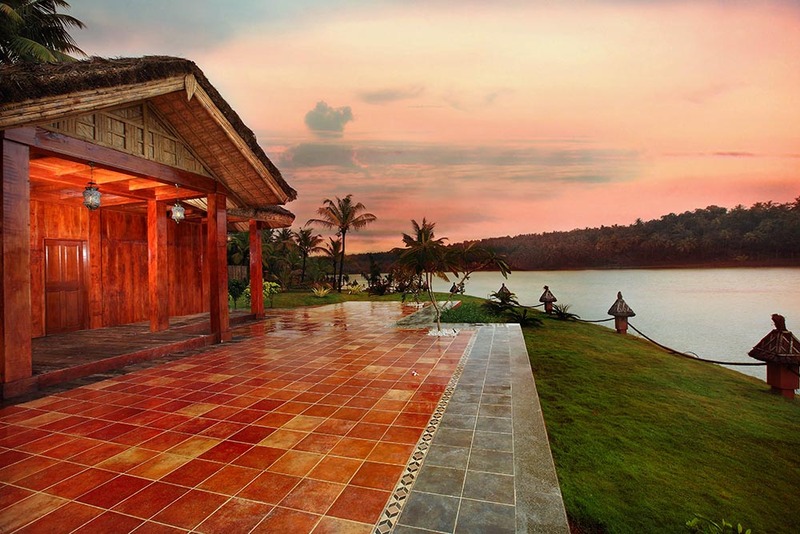 The Lake View Rooms have a traditional Keralan character that blends organically with the surrounding landscape. 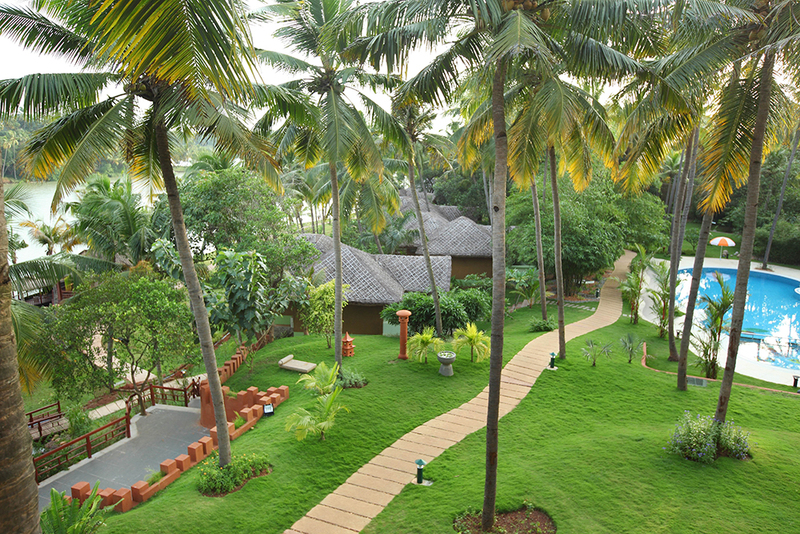 The elegant interiors are contemporary and ensure a unique opportunity to relax and rejuvenate in a tranquil surrounding. Designed for couples with privacy in mind, the luxuriant private villas are built on a terrace overlooking the picturesque lake. 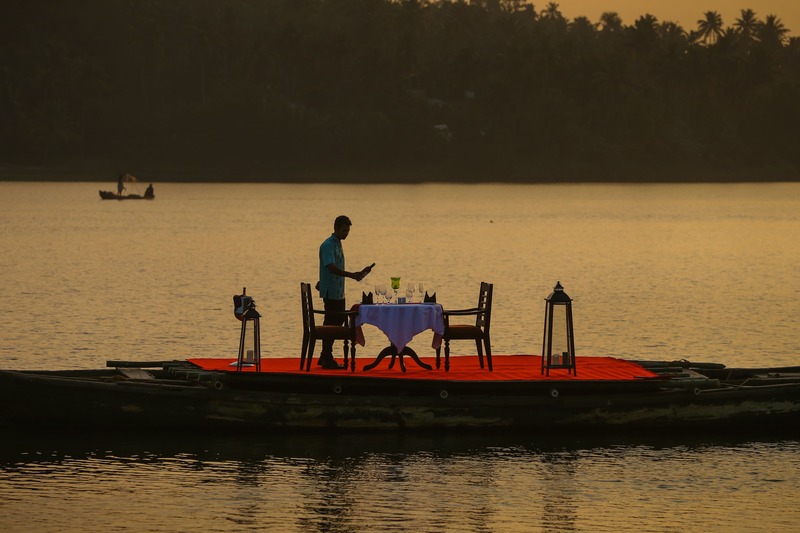 These exclusive private villas are impeccably done with an inspired Keralan styling and have a private garden with an elevated balcony facing the lake—an excellent setting for a private, candlelit dinner. These villas are also suitable for small groups and families. 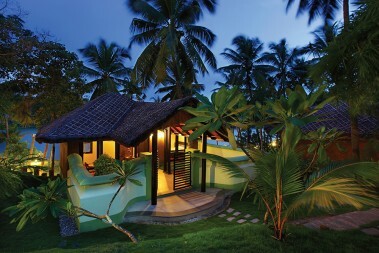 The Private Pool Villa is a fabulous mix of luxury and privacy. 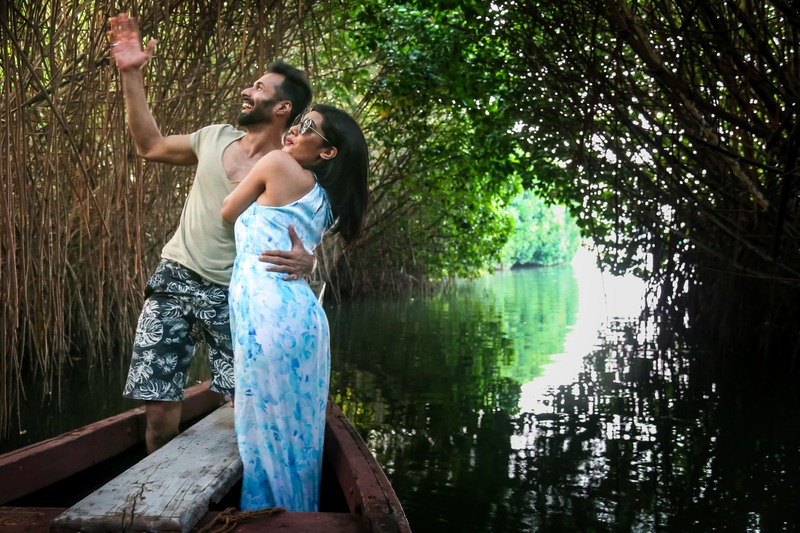 An ideal getaway for honeymooners and anniversary couples, it is the perfect place to begin your life together or write the next chapter in a marital story line. 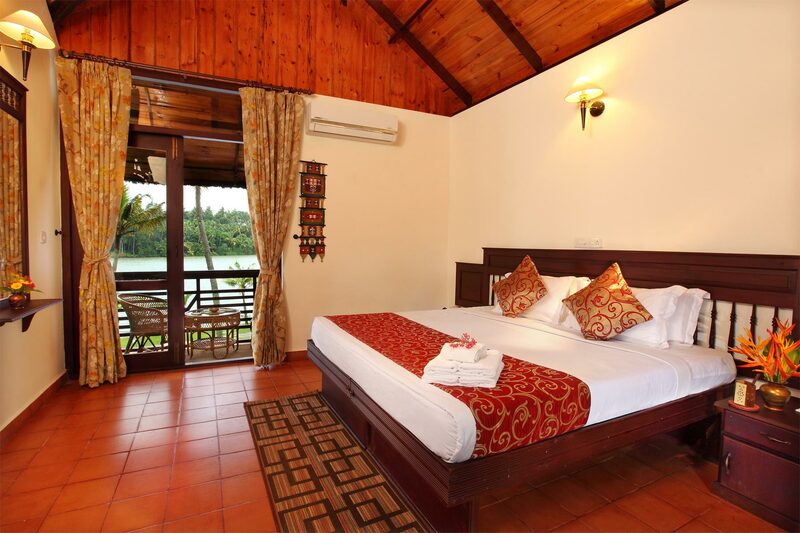 Set in the most picturesque setting overlooking the spot where the lake meets the river, it is your own stunning private haven. Celebrate your love over a romantic candle-lit dinner by the pool. 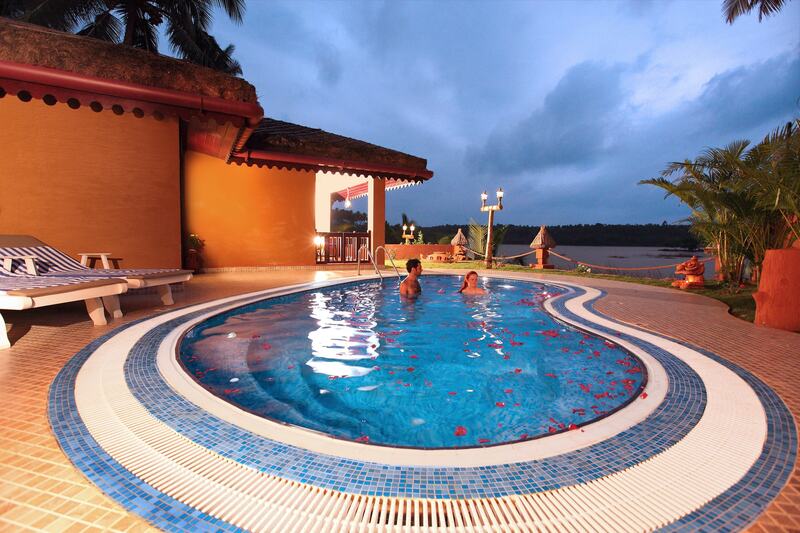 Enjoy idling in your own sparkling private pool with a deck just for two. 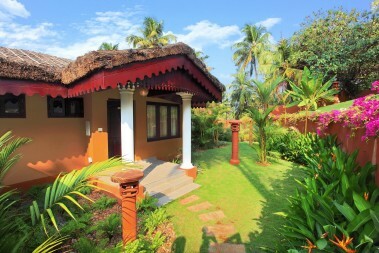 Furnished and equipped in a traditional style with great attention to detail. 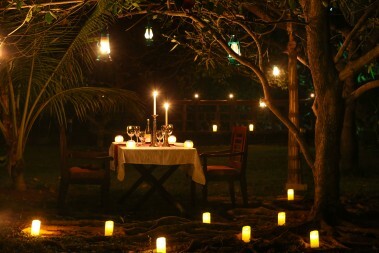 A perfect way to make your most romantic dreams a reality. 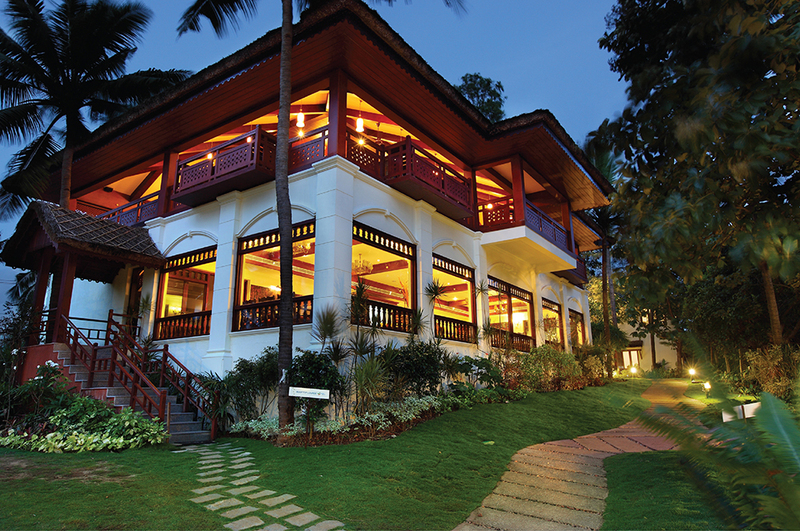 Rasa, meaning taste, embodies the culinary fare on offer at our iconic restaurant. 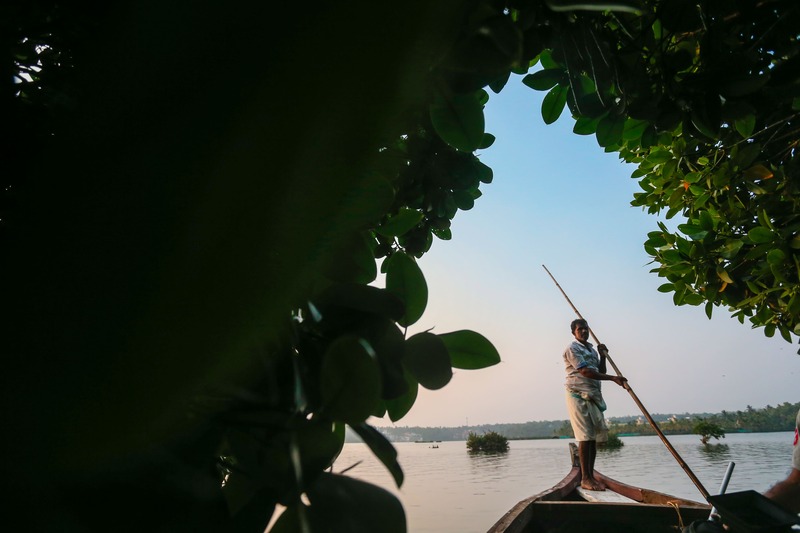 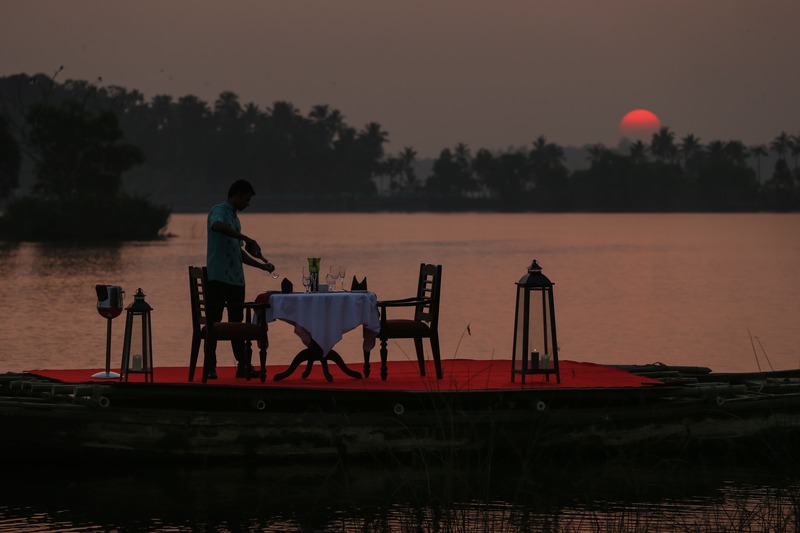 Air-conditioned, with the panoramic backwaters as its backdrop, Anna Rasa picks the subtle flavours of Keralan cuisine, as well as revered cuisines from elsewhere in the subcontinent, and presents a culinary platter of distinct tastes and guarantees a gastronomic experience nonpareil. 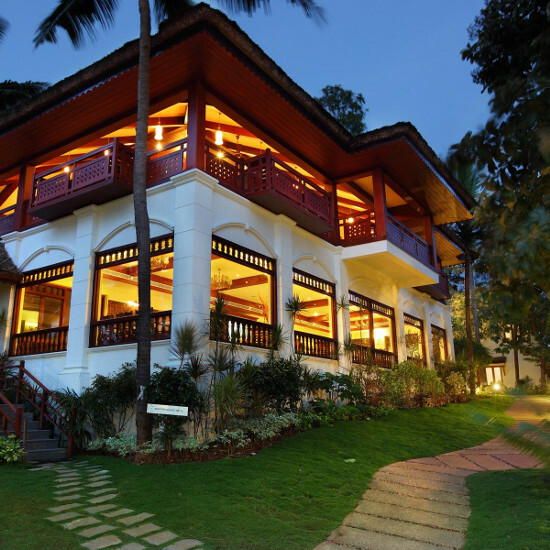 The roof top restaurant creates a stimulating mix of cuisine and decor, wherein guests can relish the aesthetics of a matchless setting along with the culinary bounty on their plates. 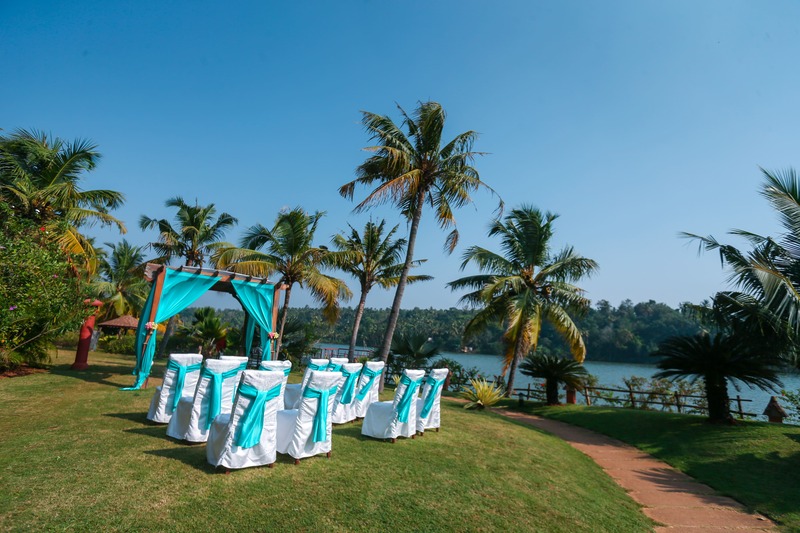 A truly top-of-the-world experience, the stunning views around set in a verdant natural abundance are not just inspiring but contribute to a dining experience of a lifetime. 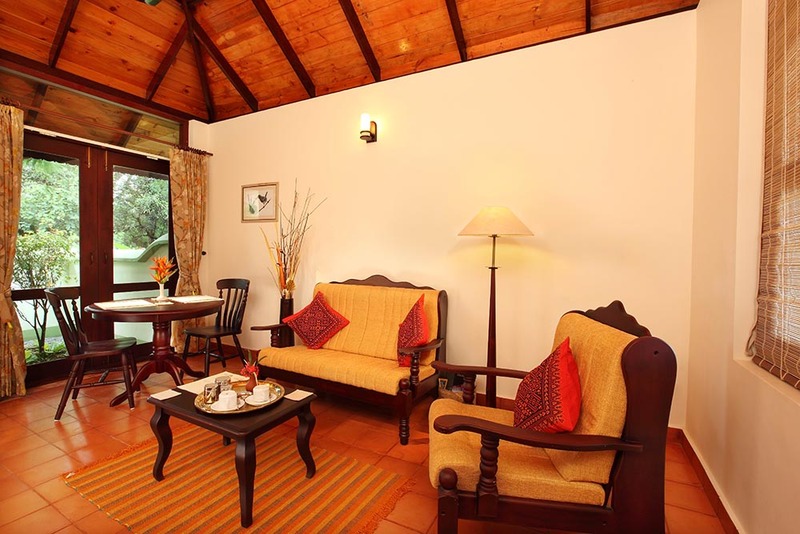 The right place to have a cup of coffee brewed just right. 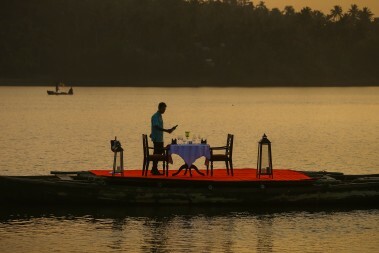 This lakeside coffee shop offers quick bites for those in a hurry or, are just plain unwinding at non-dining hours. 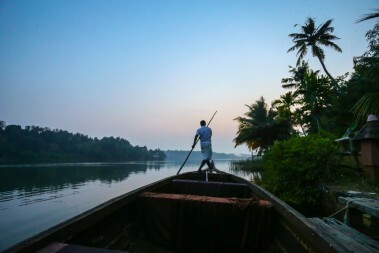 The setting is stirring—watch nature at its best: let it seep in with the coffee, while you listen to the oars in a rhythm and watch birds wing their way to their nests. Just where the lake meets the river, an ideal point for a sun downer as your day comes to an end. 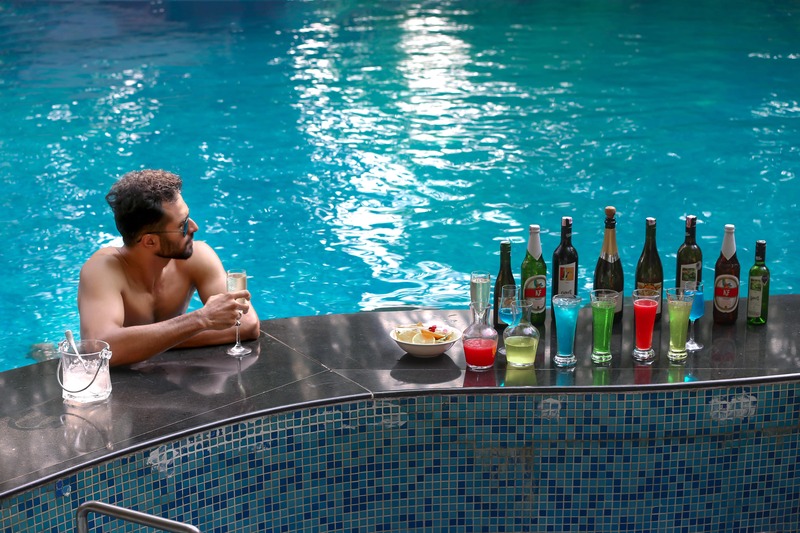 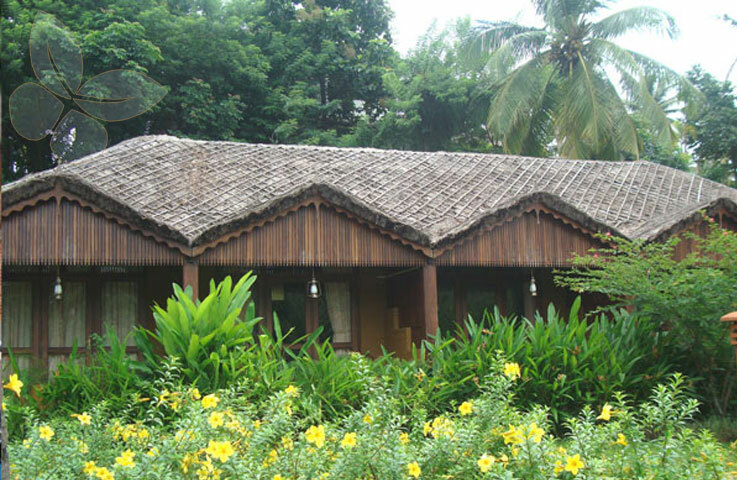 Along with its elegantly furnished rooms, Fragrant Nature Resort offers a superior service quality and an array of hotel facilities that add tremendous value to the stay of the guest. 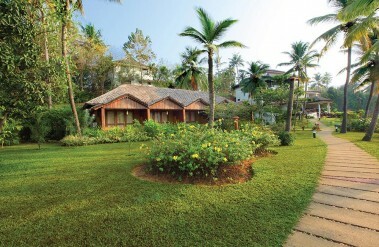 Friendly, courteous and experienced staff goes out of their way to make your stay in the resort perfect. 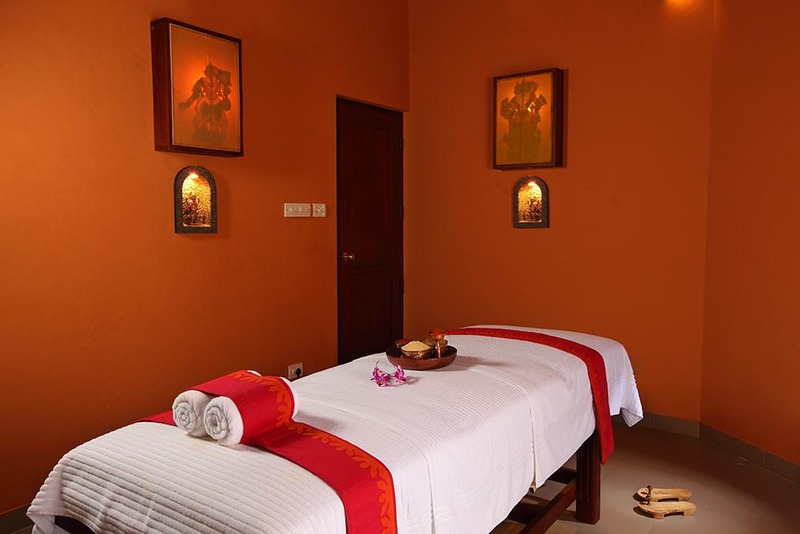 Take advantage of these unsurpassed facilities to be truly comfortable and relaxed. 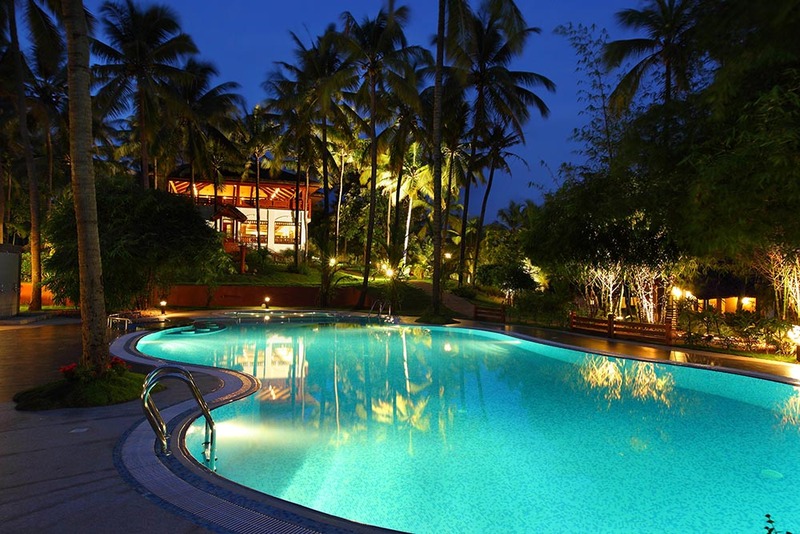 Nothing adds more cheer than an inviting pool at a truly perfect resort. Take a plunge in its cool, blue waters; lounge in the sun getting a tan, relax in the luxurious rush of the Jacuzzi. 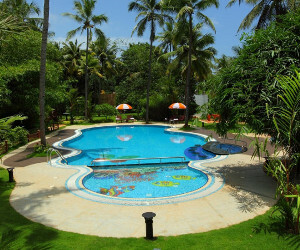 Your little ones will be least bored—delighted to swim in the kiddies pool. 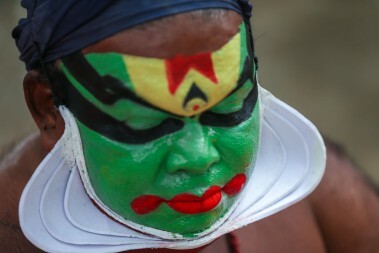 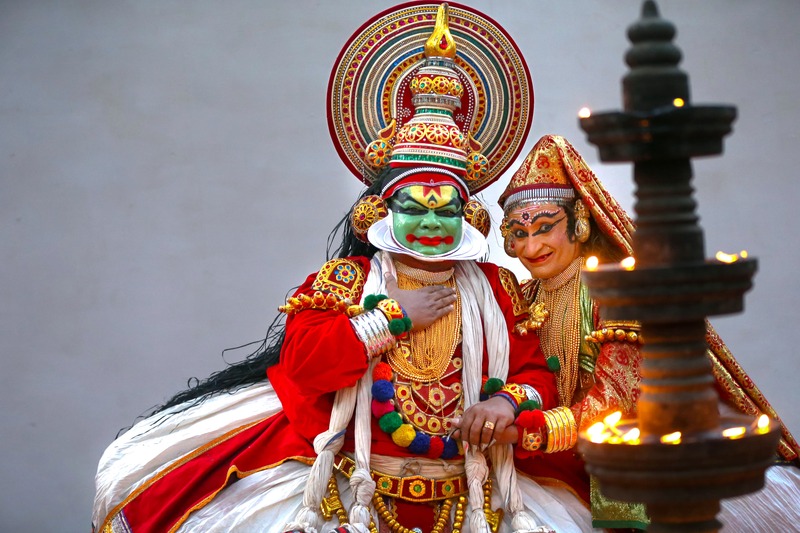 The artistically inclined can enjoy live performances of the colorful art forms of Keralan dance and music. 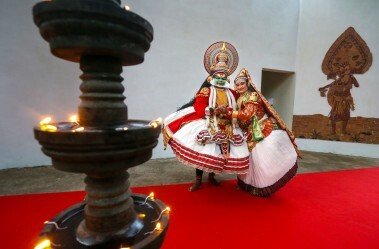 These folk dances and other art forms are unique in their presentation and involve perfect expressions performed by very fine class of artistes. 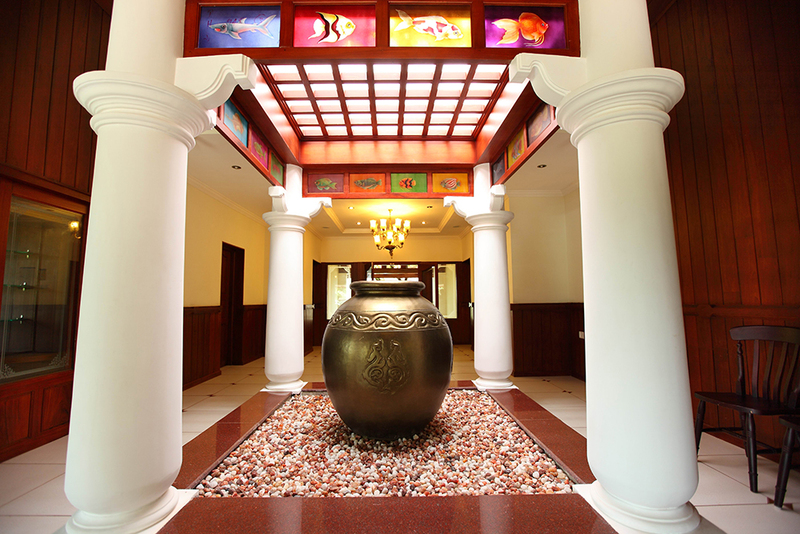 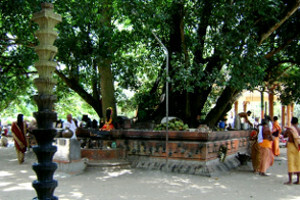 Embellish your stay being witness to such cultural gems that will remain an abiding memory. Take a cruise around the village in our traditional boat or in a punt boat and let the enchanting beauty of the lake and its sounding landscape cast it's spell all over you. Enjoy the breathtaking view of the untouched and otherwise inaccessible rural Kerala, while you float! Loose yourself to the steady rhythm of the waves and feel the virgin wind on your face. Try your hand at angling! 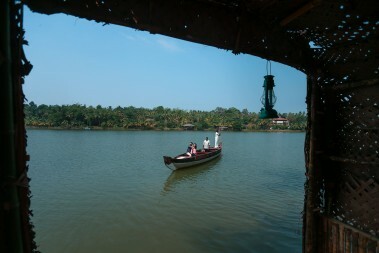 Seat yourself comfortably at our fishing spots by the lakeside and feel the excitement of that tug at the end of the line! 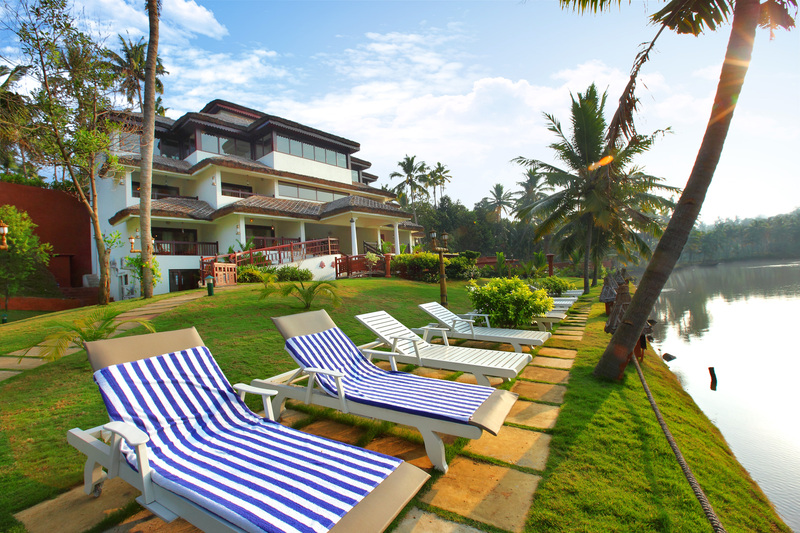 With patience and a little bit of skill, you are sure to have a fairly good catch as well as having a lot of fun. 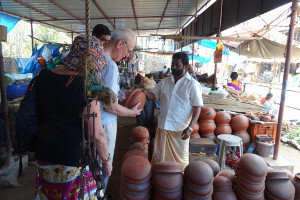 When it comes to traveling, souvenirs attain immense value, especially when people visit truly exotic destinations like Kerala. 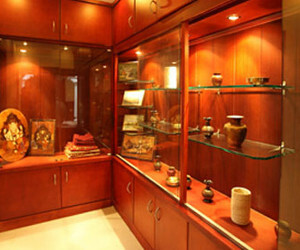 Explore a variety of souvenir items that reflect its culture, history, art and socio-religious aspects. 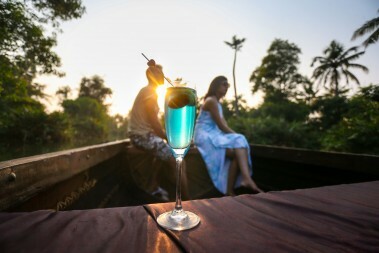 Take back something special. 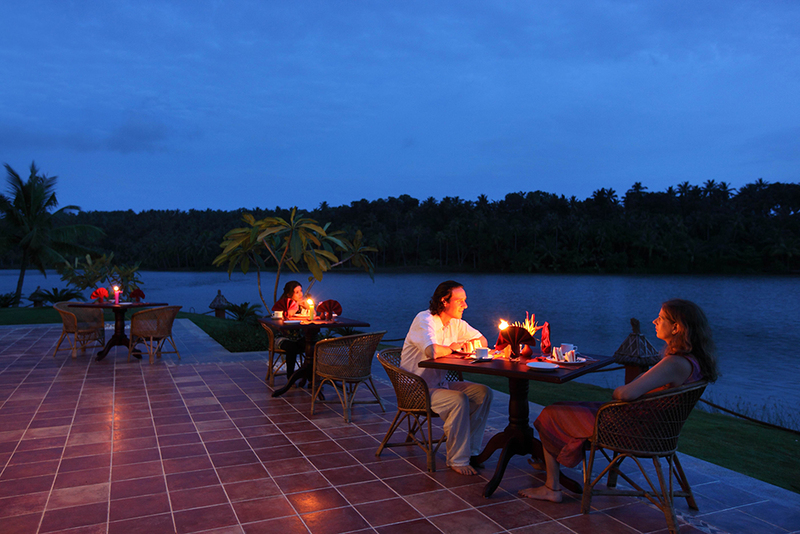 Cherish an unforgettable holiday experience. 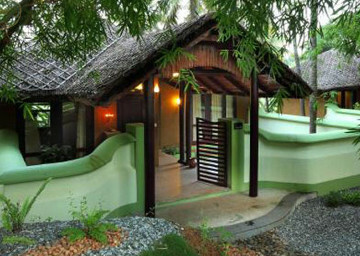 Guests lodging with us can avail –breakfast (Indian & Continental), bottled mineral water (1000ml) 2 Nos, soap, dental kit, comb, shampoo, moisturizer, shoeshine strip , all-purpose kit, free internet access, daily choice of complimentary newspaper , shoeshine machine, valet parking , health club , shaving kit , shower cap ,coffee maker ,hair dryer, iron &iron board , safe deposit lockers and guest stationary, in room weighing machine.Guests can request us for wheel chair. Left Luggage .Along with it high quality guest amenities and multi-channel entertainment can be enjoyed. 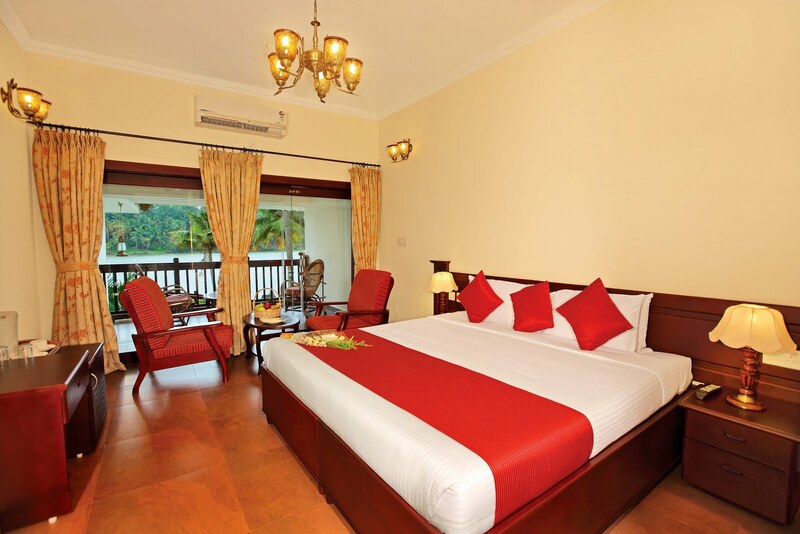 Our rooms are not mere spaces to rest your tired backs, but offer a whole new luxury experience. 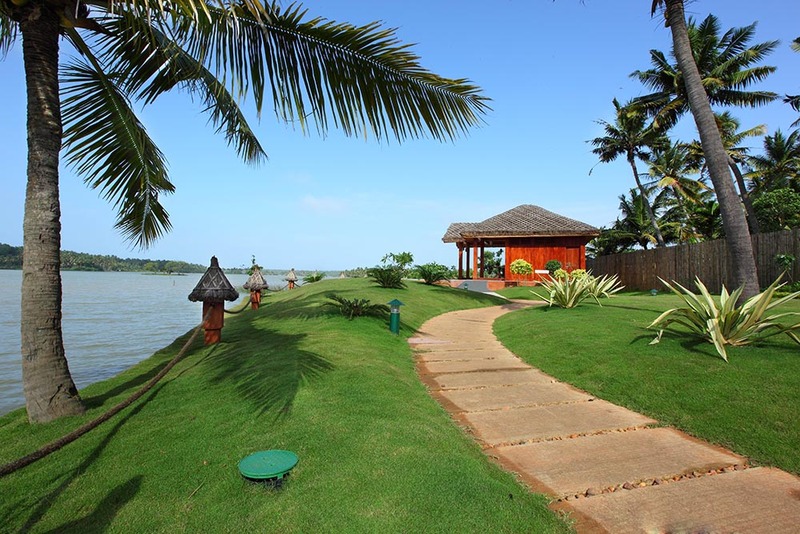 Travel desk, In- house laundry, Doctor on call, Fax , Multi cuisine restaurants , Conference halls and other state-of-the-art facilities and telephone, Ayurveda Spa, Boating-Speed Boat & House boat,Beer & Wine Parlor. 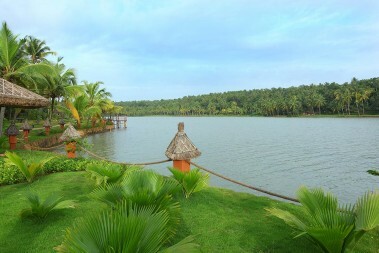 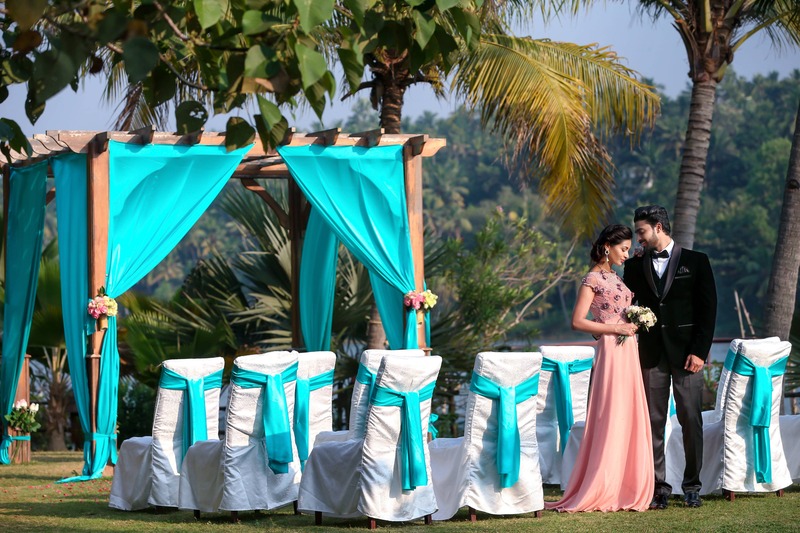 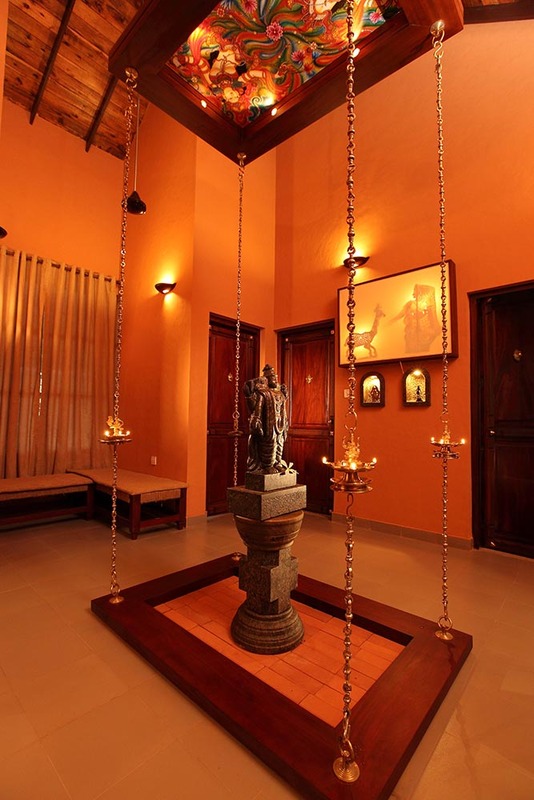 Fragrant Nature Resort is set in a rural backwater setting, amidst authentic Keralan culture. While in the resort, you can relax undisturbed in your private garden or rest under the shade of the coconut trees while enjoying light breeze from the lake. 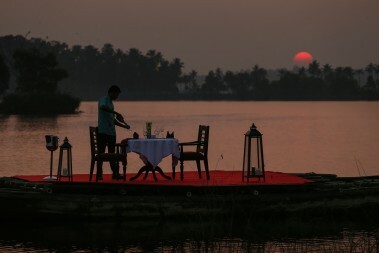 You can also take the cruise boat or a punt boat trip at the end of the day and meditate as you watch the sun set over the lake. 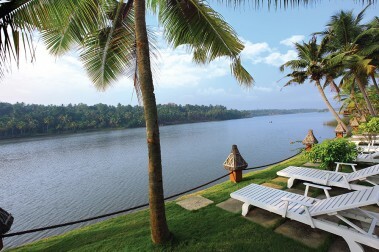 You can choose from our range of activities/day trips and make your holiday a thing to remember. 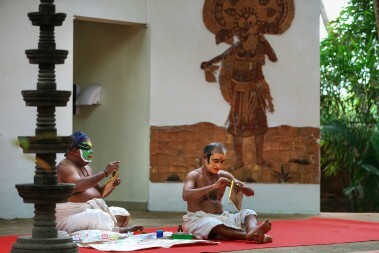 Fragrant Nature Resort arranges cultural shows and visits locally to see Kathakali, Mohiniyattam, Bharathanatyam, Kalaripayattu and classical music performances. 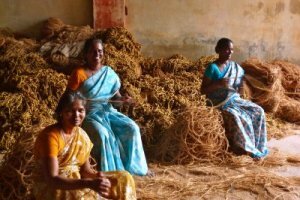 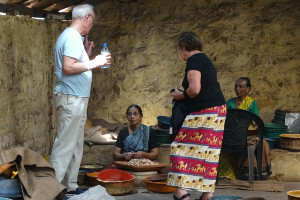 Visits are also arranged to see local small-scale industries such as coconut processing, coir production, cashew processing and local hand weaving. You can learn how to cook Keralan food from a local housewife (guide/interpreter provided) or go angling on the lake with a local fisherman. 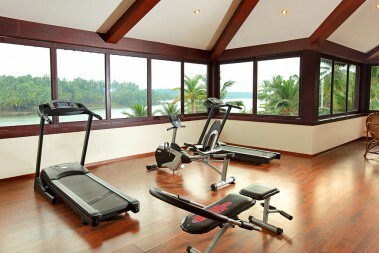 Bicycles are available for hire if you like to explore the local area at close quarters. 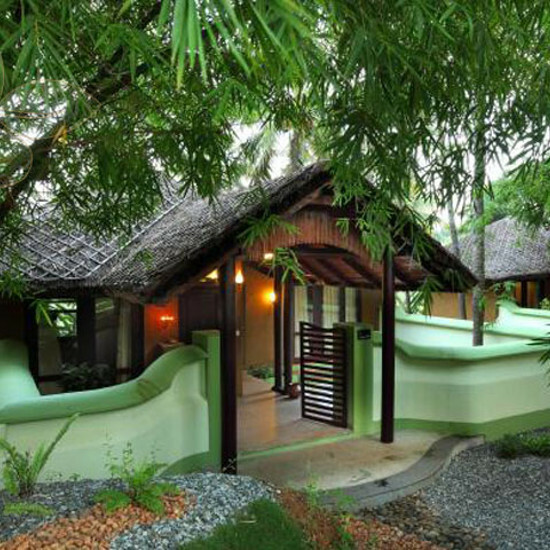 If elephants are your favourite, the resort is close to Parippally and Bhoothakulam, where there are many temple elephants and during the festival season, there are opportunities to see caparisoned elephant processions. 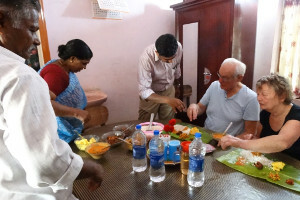 It is also possible to arrange elephant rides and an opportunity for feeding elephants locally.